First it’s Thanksgiving (and the leftovers that follow), then Christmas cookies – I mean, Christmas – and finally the new year. Cheers! There’s no workout motivation quite like the guilt that often follows the overindulging on all the treats and drinks these holidays tend to produce. And here’s some food for thought: People are generally less active in the winter. You know this. It’s cold outside. People aren’t doing yardwork. They’re not taking evening strolls. But you want to do something about this. You want to take charge of your health all year round. If nothing else, you’re considering a New Year’s resolution to live healthy and move more. Good for you. Do it. But don’t start off with 200 pounds on the leg press because that’s what you used to do in high school. It’s just not a good idea. Workout injuries are common when people who’ve been relatively inactive decide to start exercise routines and overexert themselves. As a rule of thumb, start your workouts easy – almost too easy. Increase the intensity incrementally. This not only helps prevent injury, but will also boost your confidence and momentum. Stretching can prevent injury, but it’s very dependent on your workout. With aerobic activity, stretching is most beneficial after the workout. It helps to reduce soreness and speed up recovery. With weight training, stretching is beneficial after the warm-up. If you have tight muscles prior to doing strength training, your body will most likely compensate for that tightness and move unnaturally. This will typically place increased stress on other areas of the body and produce inflammation. It’s often skipped. People are busy. But yes, warming up is important. While there may not be a lot of evidence that suggests it actually prevents injury, I do recommend it. 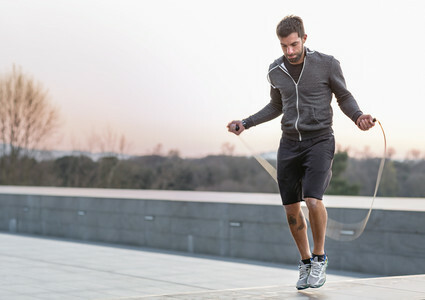 A good warm-up lasting 7-10 minutes will help prepare your body and mind for the workout ahead. When you work out, you break down muscle tissue. Your body then rebuilds that tissue into a stronger version. This is a normal process that takes a day or two. If you break down your muscles too much through overexertion, your recovery time is longer because of the amount of repair needed. If you return to working out before you have recovered, your muscles will have less strength and will break down further. This puts you at risk for tearing certain muscles. MYTH: Only crazy people work out in the cold. 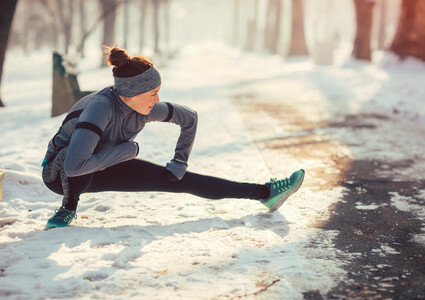 FACT: Working out in the cold provides a greater calorie burn because the body has to work harder to stay warm. Cue the masses of people now heading outdoors. If you’re a walker or jogger though, watch out for ice! Consider shoes with good traction or attachable cleats. Wear sensible layers and remember: Start slow. Gradually increase your pace. Working out in the cold isn’t for everyone. People with asthma issues, for example, should stick to indoor activity. That cold dry air can make asthma symptoms worse. And if the thought of trekking through ice and snow kills any ounce of motivation you have, don’t do it! MYTH: Working out indoors during the winter is for the weak. FACT: Working out, no matter where it’s done, is better than not working out at all. 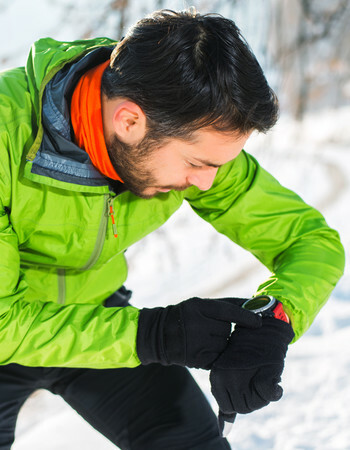 Our bodies don’t need to know how cold it is outside, but they do need to stay active. 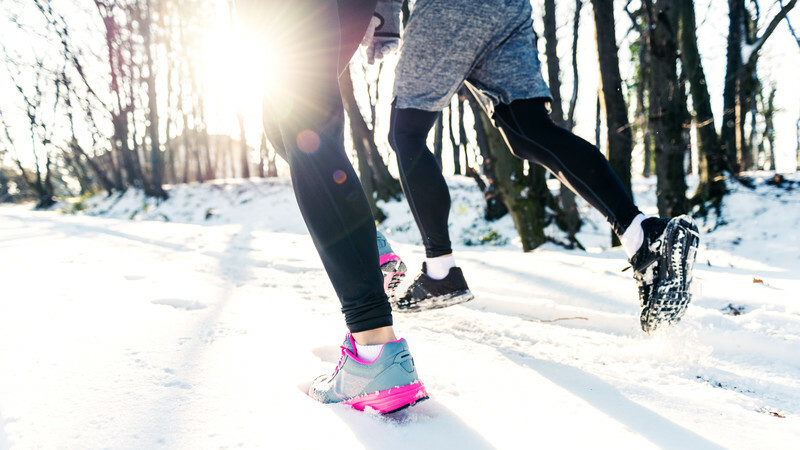 Working out all winter long can help keep you in shape and help fight off those common winter illnesses. Gyms are busier in the winter. Most people want to avoid the cold and slick conditions. But working out indoors doesn’t make you less prone to injury. Proper form is crucial when it comes to all workout machines and equipment. If you have questions as to whether you’re using a machine correctly, consult the trainer at the gym. 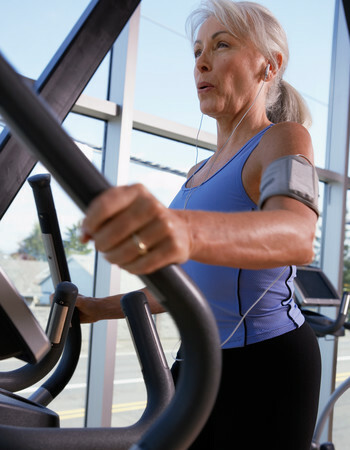 Most people who begin a new workout routine will experience some muscle soreness initially. Again, allowing enough time for your muscles to recover is absolutely imperative. What to do: Continue with light-intensity activity (walking, bicycling 5 mph or less, leisurely sports and stretching). What to do: Take three to four days for recovery, and decrease the intensity during your next workout. What to do: Discontinue activity and consult a trainer. If your pain persists beyond three to four days and is limiting your normal daily function, you may need physical therapy. Your primary care provider can provide you a referral. If you’ve suffered an injury, lying on the couch will not make it better. Relative rest is good, but light activity is important to help your body recover. Ice the injury initially, perform some gentle movements and stretch. But do not stop moving. More and more studies are showing that a sedentary lifestyle has significant health impacts. In some cases, it can be deadly. My job as a physical therapist is to keep you active. If you have any questions about an injury you may have suffered or think you could benefit from physical therapy, contact your primary care provider. Aaron Key, PT, DPT, is dedicated to patient health, and is always looking for ways to be a better clinician. He loves sharing his knowledge with people, especially people physically struggling with injuries. His mission is to help people with debilitating conditions return to their normal function. Today, Aaron is a physical therapist at Methodist Physicians Clinic Regency.